Back in Sarasota red tide has become more of an issue, affecting the coastal gulf up to Anna Maria Island and getting into Sarasota Bay close to passes. Red tide is patchy and changes from day to day and even tide to tide, so there are areas that are unaffected and fish can still usually be caught in those areas. 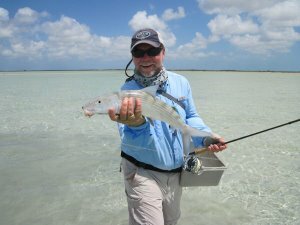 Catch and release snook fishing around dock lights and bridges and trout, blues and more on deep grass flats should be good options if the water is clean in those areas. There should be some tarpon in upper Charlotte Harbor and Tampa Bay. Juvenile tarpon in canals and creeks may also be a good option, if you can find them. You might also find them in a few places mixed with snook in dock lights.